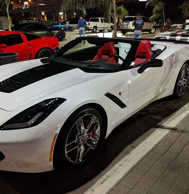 Dedicated night to the many brands of General Motors and America's favorite sports car, the Corvette. Come show them all off at the Ace. See photos from previous months. Last edited by senor honda; 03-12-2018 at 10:47 AM.